So this week and actually the past week also has been the cookie week !!! Customized cookie was always a scary thing. I used to be like how on earth do they do this. I always thought I wouldn’t be able to do customized cookies. But then one day I got an order from a nearby cafe for superhero cookies. I was like lets do it! After that I got an order of 150 cookies for a princess and knight birthday theme. 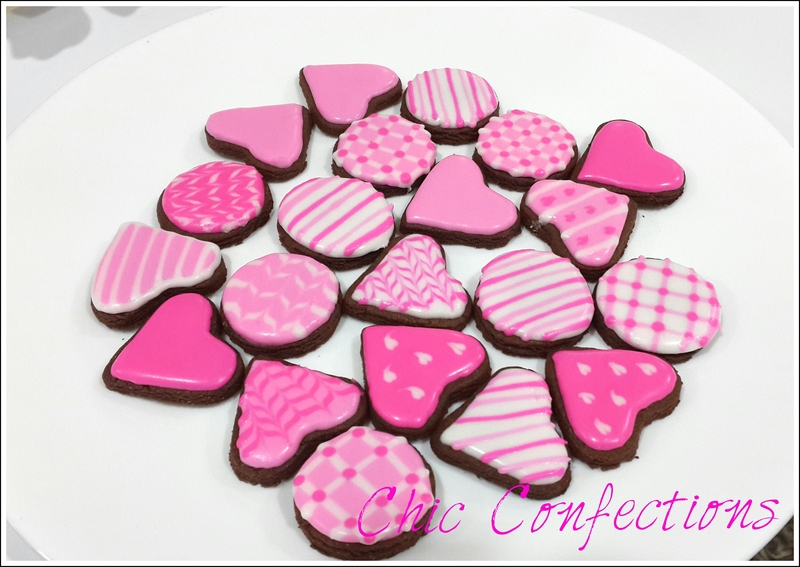 So after decorating 150 cookies, all your fear for customized cookies just goes away. And then you are like ‘bring it on’. Moral of the story keep practicing. These were super duper fun to make. It totally got me back reminiscing my childhood cartoon network memories. 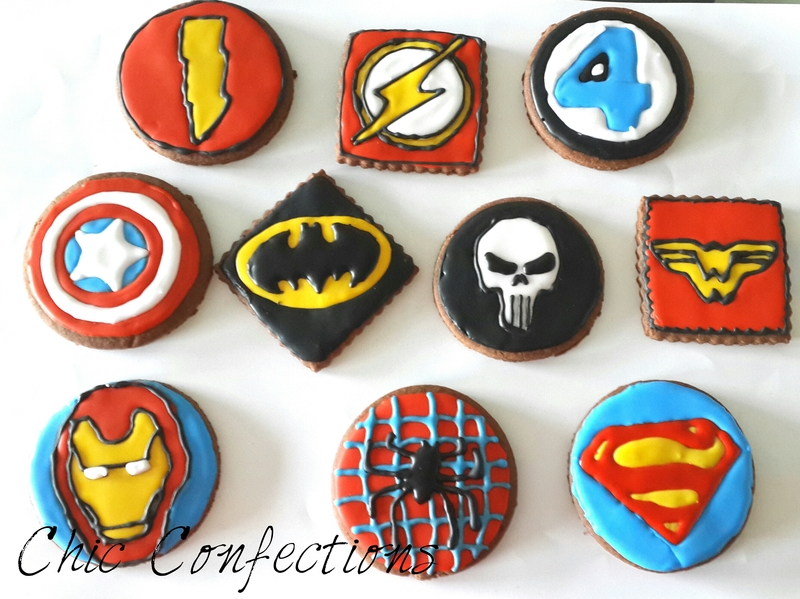 I have made superhero theme cookies numerous times. But this time there were some new additions like Fantastic Four, Flash, Punisher, Wonderwoman and Ironman. I just adore making the Batman cause I am also a somewhat comic buff and Batman being my favorite superhero I always want to make one extra for me. 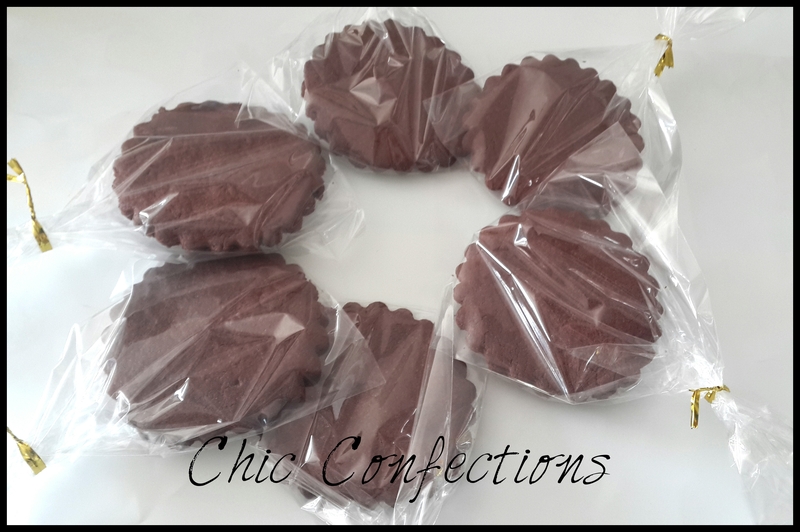 These were simple yet cute wedding favor cookies. 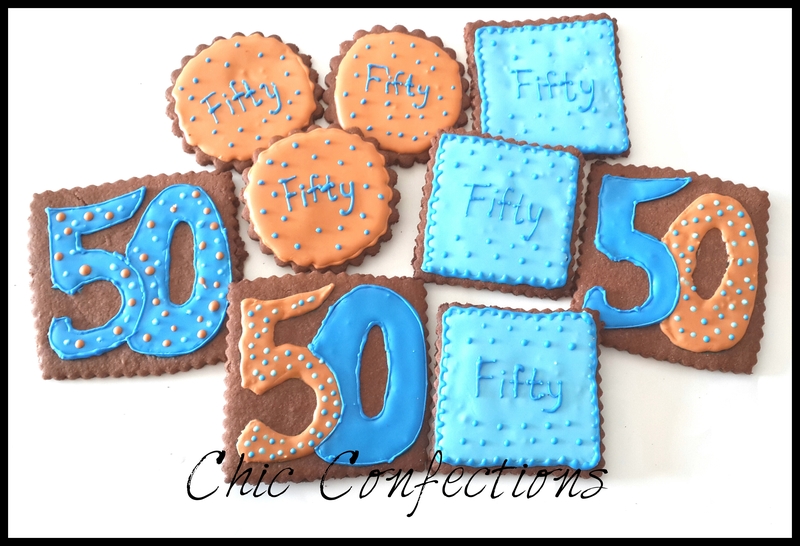 These were a daughter and her husband’s gift to her mother’s 50th birthday. Every new theme is a new challenge and more fun for me like my next one. 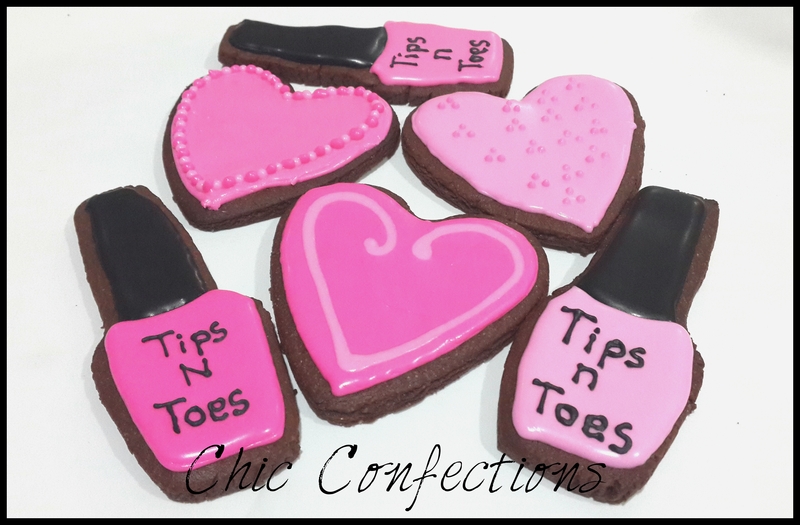 Tips N Toes Nail Spa One Year Anniversary Cookies. The nail spa is located in Khar, Mumbai. Its anniversary is on 14th February so we decided on a mixture of both nail spa theme and Valentine’s Day. So this was how my past two weeks have gone. I have also made these adorable baby girl theme cupcakes but those are for a later post. I have thoroughly enjoyed decorating each and every cookie. Decorating cookies is a long and patient process but once when you are into it. It becomes an addiction and a sweet one !! I feel themed cookies bring out a child in all of us. I am pretty sure if tomorrow you see a cookie in a shape of your favorite book, accessory or gadget, you will instantly grab and eat it. 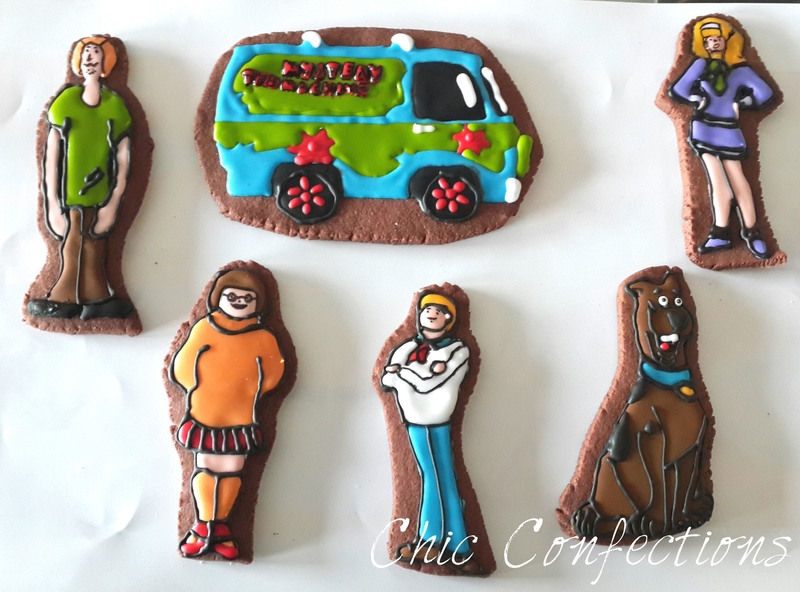 Awesome cookies! very creative. what flavoured base do they have?